Are you looking for a healthy place to eat while visiting Playa del Carmen? BIO Natural is a restaurant located in the downtown area of the city that serves an abundance of healthy food and also has a shop where you can purchase many of the ingredients that make up their signature dishes. The company began five years ago when the partners opened up a small shop dedicated to selling products which are healthy and organic. For a light meal try one of their high protein salads, such as beetroot and rice, superfit or their tabouli Greek salad. They also sell bananas with Pozatini sauce, gluten free cookies, and hemp seeds. These are high in Omega 3 and 6, which are great for salads, pastas, and fruits and also clean your liver. For dessert, try the vegan brownie with vegetarian ice cream or the coco yogurt with frozen mango. The store has its’ own brand of BIO ginger tea, made with lemon and mint, as well as a terrific spirulina smoothie with algae that is made with organic rice milk, peanut butter, and banana. It’s high in iron and accelerates the body’s metabolism. They also have many great products sale that designed for maintaining a healthy body. There is a skin protector made of aloe vera that rehydrates the skin, a mosquito repellant that is ideal for babies, and coconut oil that can be used on your hair, skin or as toothpaste. 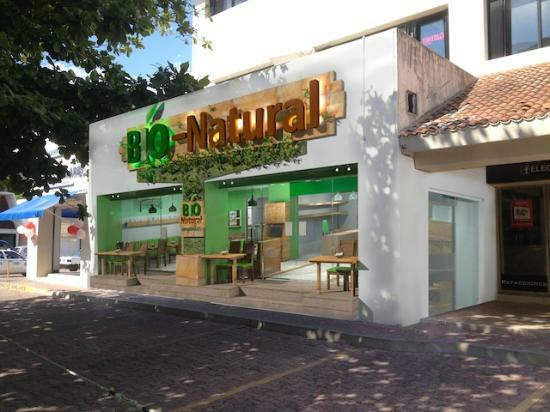 BIO & Natural has big plans, with a goal of having 30 franchises nationwide in 10 years. 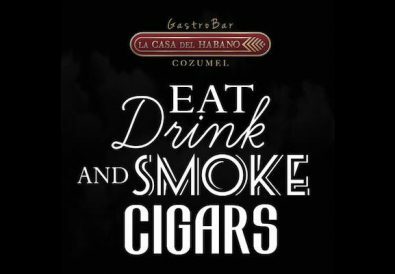 They are currently they have two locations in Playa Del Carmen. The original shop is located on 10th Avenue, between 16th and Constituyentes Avenue, while the second location is on 5th Avenue between 40th and 42nd Streets. BIO Natural serves breakfast from 8:00am-1:00pm every day. Lunch and dinner is served from 1:00pm-11:00pm. For more information about BIO & Natural visit Facebook/BIO-Natural or visit their website www.bio-natural.com.mx.